You will need the items below to install H-Encore. The Auto H-encore will automatically install all the nesscary files for H-Encore on the Vita. Your PS Vita must be on firmware 3.65, 3.67, or 3.68 and have a PSN account linked. If you never logged into your Vita before, just log into the PS Store ONCE. That's all it takes to link your account. Either the official Sony Vita memory card or SD2Vita. Those with a PS Vita Slim won't need a memory card. 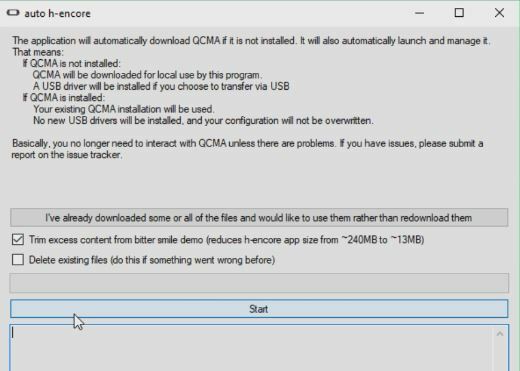 Unzip the Auto H-encore files and install Qcma. 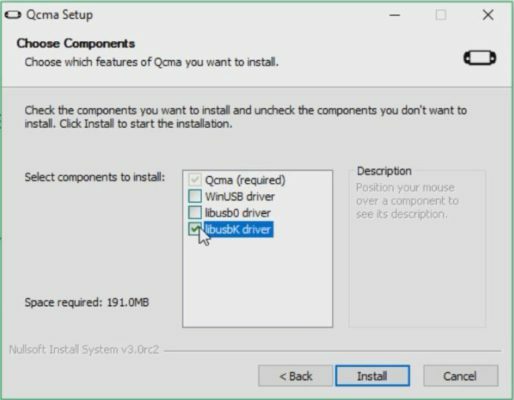 Select the libusbK driver when installing Qcma. Double click on the auto h-encore.exe icon and click on the Start button. Step 3: Connect Vita to QCMA. A prompt will popped up asking to connect the PS Vita. To do so, connect the USB cable to your Vita and go to Content Manager. Step 4: Wait for Unpacking to Finish. Wait for the prompt to reach 100% unpacked. Step 5: Copy H-Encore to PS VITA/APP. In the PS Vita, connect to Content Manager. Select H-Encore and hit Copy. Step 6: Go Back Out to the Home Page and Click on the H-Encore Bubble! Go out to your HOME page. Scroll down until you see the bouncing H-Encore bubble. Launch H-Encore, scroll down to Install HENkaku press X.
Download VitaShell and press X (WiFi must be turned on). Reset taiHen config.txt and press X, and then press X on Exit. You should have VitaShell now and if you go to your Settings/System Information you should see two Chinese Characters next to your firmware number! Enjoy your hacked Vita, to see a pic by pic guide on how to remove the trophy warning prompt see my next guide here. Good suggestion! I do have a mac laptop, I can get that done. I have never used Linux before but I’m that won’t difficult. Hi. 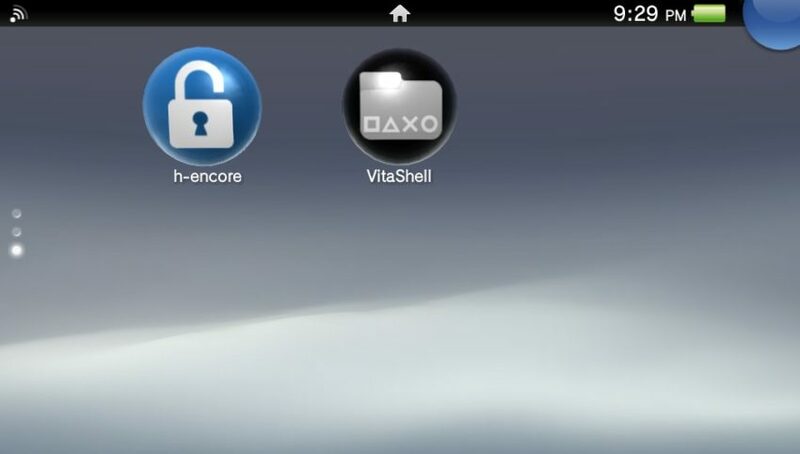 Umm i dont see a Vitashell folder in the PS Vita/APP/xxxxxxxxxxxxxxxx directory and also in contents manager. i only have the h-encore there. Please help 🙂 Thanks. Follow my corrected step 14, but you basically launch the H-encore bubble and go through each menu item with exit being last. That should install Vitashell for you. Actually this was from me doing my other guide on how to restore VitaShell, if you are doing this for the first time you won’t see it there. You know how to fix the trophy glitch? This is now complete and can be found here: psvitamod.com/remove-trophy. hey, thanks for the perfect guide, now i need your help here. i did everything right and i have h-encore app on my vita, look i’m on 3.65 enso, what should i do before i install h-encore? remember that i want to be on 3.68, so please tell me what i should do to be on 3.68 h-encore while i’m on 3.65 enso? You should update to 3.68 first and then install the H-encore. You should be able to update by going into Safemode (PS button + Power button + R1) when booting up your Vita and pick update software. so updating like the normal way? no need to delete any plugin, suprx or uninstall enso? nothing will happen to my vita if i update from my 3.65 enso to 3.68 ofw? Yes, updating to the newer firmware should automatically uninstall Enso. Try going to HENkaku Settings and see if “Enable Version Spoofing” is checked, if it is then unchecked it. If it’s not then I’m not sure, also I guess you have some games you want to play on 3.68 because there is no turning back. I’m getting an error code while transferring h-encore to my Vita. What should I be checking? What does the error say? Did you start from step 1 or are using a file that allows you to skip steps? Where did you get the Hencore file, my guide shows you how to make it yourself. If you using of those smaller Hencore as a shortcut you can skip I believe the first 6 steps. Wow, I didn’t expect a response so fast! I had waited a few days before trying this again. All the files I got were from this guide’s provided links. I’m 100% unsure of what I did wrong, but I deleted everything and started over from step 1, making extra sure to have everything look like the pictures, and it worked this time. Thanks for this guide, it may have taken me a minute to do it (because I’m a total noob at this stuff, it’s the first console I’ve ever hacked! ), but I couldn’t have done it without this guide! Glad you got it fix, enjoy the Vita! Enable PSN sproofing in henkaku settings, set the spoofed version to 3.69 and then try logging in to your psn account. what if i have 3.70?? You will have to wait, there should be a hack coming out during 2019 that will enable you to hack on 3.70 and then downgrade to a lower firmware. help please!!! !am stuck at step 11 it says that is a batch file and therefore no new folders created. i have followed the other steps but step 11 is really frustrating. please help anyone. Look at the new guide, I am now showing an automatic install with half the steps needed. Let me know if you are still having issues. Everything went fine with the whole installation until step 14. The Henkaku installed properly, but when I tried to download Vitashell, it failed. When I tried again, h-Encore crashed. I keep trying to open it and either the app crashes or the Vita does. Deleted the app and copied it again, the crashes continue. I’m running 3.68. Did I miss a file somewhere? Hello CFWConsoles, your guide is very helpfull.. My thanks for your splendid hard work to make this guide.. If you really dont mind, can you make a guide for modoru by TheFlow? it can make your cracked vita downgrade to your desire FW, i really appreciate if you make this guide..
thank you for your splendid work.. I will start a modoru guide to downgrade the PS Vita soon. I finally got a Vita that is on 3.68, and will hopefully have a guide done by the end of this weekend. Woooow, great.. Thankyou CFWConsoles.. maybe one day you can make guide to install MaidumpTool or Vitamin here… Great…. Thanks for the suggestion Raizo, I will add Vitamin to my to do list as it seems important for people to back up their legit games especially if they use SD2Vita. However, I would recommend NoNPDRM instead of Maidump. NoNpDrm is a more stable and superior format than Mai. CFWConsoles, cant wait for your another guide about modoru and vitamin, geat work out there..
Not too long after your previous comments, let me know if it works for you. Thanks again! CFWConsoles, is there a risk when you at 3.67 and spoofing your device to 3.70? No, you need to spoof your device to 3.70 if you still want to use PSN. You still can but you have to spoof to 3.70 first. Not yet, but it is coming. The creator of H-Encore (TheFlow) has found a way to hack Vitas above 3.68 and he said he will release it in 6-8 weeks. Therefore, in May or June there should be a hack. I am currently working on a guide for that, because there are some things you can do right now to prepare your Vita for that upcoming hack. This is such a good website it has inspired me to hack my PlayStation Vita 3.68 I just hope I can do all the things on my Linux computer. I know I should just change my computer back to Windows because Linux pretty worthless for me. Thank you, wish I could tell which hacks you could do on Linux but I don’t think they are all compatible.